Bank statements. Personal correspondence. Confidential documents. In the hands of the wrong person, this information can put you at risk of identity theft—or worse. Let A1 DATASHRED protect your personal information and provide peace of mind. When it’s time for shredding, give us a call. Ready to Shred? Call For An Appointment. When you’re ready to get shredding, we’re ready to help. Our shredding experts work five days a week and are ready to give you all the information you need. Whether you’re a company or an individual, we’ll work with you one-on-one to determine the services that work for you. Need a one-time shred and next-day service? No problem. We offer that Monday through Friday. Want an ongoing document destruction package? That’s our specialty. Whatever your needs are our experts will customize your plan, provide you with a quote, and we’ll be there when you need us. In our on-the-go world, you need a company that comes to you. Enter mobile shredding. Give us your address, and one of our fleet of paper destruction trucks will be right over to destroy your confidential documentation. Professional uninformed, and wearing ID, our technicians will do their job directly under your supervision. No matter if you’re a resident or corporation, 300 pounds of paper can be filled and locked in our security bins. Watch as our mechanical bin tipper raises the bin into the truck and empties it into the shredder. Just like that, the paper is destroyed. Plus, cameras capture every stage of the process and a mobile viewing screen lets you watch the whole process! One-time Shredding – Need shredding on demand for business records? You’ve got it. Our purge service is one-time destruction of your documents, available to companies when they need it. One call, and we can be shredding tomorrow. You may only need it once or a few time, but when you see what we can do, we hope we’ll be hearing from you in the future when you need to eliminate old company files. Scheduled Shredding – Nothing is more important than the security of your information at your office. Do you have a program that meets regulatory requirements? Does your shredding process limit the operational efficiency of your team? Our scheduled shredding can make business operations simple, safe, and more secure. Your staff simply disposes of paperwork in a locked container we provide at your location. Then, our team visits on a regular schedule to empty each container and shred whatever’s inside. Papers pile up at home, and it’s easy to just toss them in the trash. Identity thieves love those trash bags. They’ll dig through them for fun and completely ruin your life. Why not have those personal documents destroyed and enjoy a little peace of mind? Our residential shredding service makes it easy to get rid of documents. Our shredding truck will come right to your home and destroy your papers right in front of you. It’s the most convenient and secure way to eliminate the personal records you no longer need. When you’re dealing with confidential information, you need a partner you can trust. A team who understands your privacy is of utmost importance. We are that partner. Not only does our entire staff get annual background checks and unannounced drug testing during the year, but they must also sign confidentiality agreements to ensure client documentation is never disclosed. Did you know there’s a National Association of Information Destruction? Probably not, but A1 DATASHRED does.  We made sure to become an AAA Certified document shredding member. This esteemed recognition means you get an information destruction company that upholds the highest standards in the handling of personal information. All our staff is professionally trained. and we abide by current security protocols to prevent anyone from seeing or copying your personal information. Now that’s a company you can trust. Did you know that every ton of documents we shred saves 17 trees? Document shredding not only protects your private information, but it also protects the environment. We are dedicated to maintaining the highest security standards while implementing a green philosophy. No giant diesel trucks polluting the environment, no more waste, and zero impact on landfills. We’re 100% committed to our earth. Give us a call today for a quote and appointment.